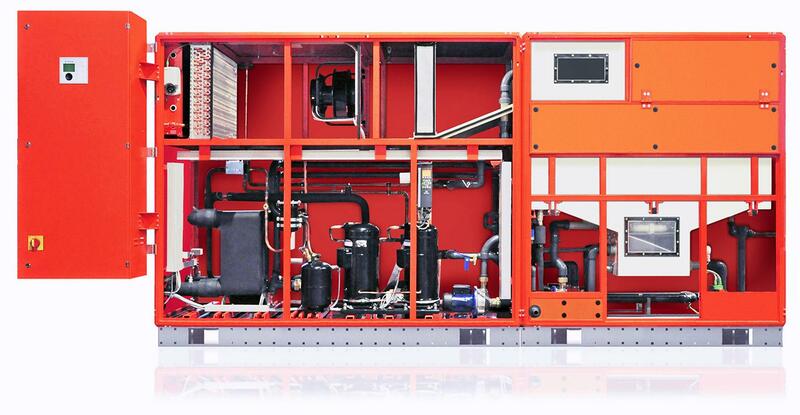 chillers - perfect for great cooling loads and solving the modern energy problems of buildings. Comfort in living and work spaces is becoming an increasingly important component of quality living. Temperature and indoor air humidity affect the comfort of living. Summers are becoming hotter with each passing year, resulting in an increasing need for cooling of interior spaces. A person can be productive and creative only in a properly cooled space. We need cooling energy in order to cool the space. Cooling energy is mostly provided in the form of cooling water, which circulates through cooling elements and thereby cools the spaces. What is a chiller and how does it work? To prepare cooling water, we most frequently use a device called a chiller. The chiller cools the water that circulates through cooling elements. The cooling water that comes from the chiller is heated by the warm indoor air, while the room itself is cooled. The chiller then cools the warm water and sends it back into the room. The heat in the chiller is driven outdoors by means of an internal circulatory coolant. The ”driven away” heat from the chiller is discharged into the air by evaporation in the cooling towers or through an air exchanger, cooled by the ambient air. The traction energy of a chiller is in most cases electrical energy. The biggest advantage of chillers is the ratio between the invested electrical energy and the obtained cooling energy. 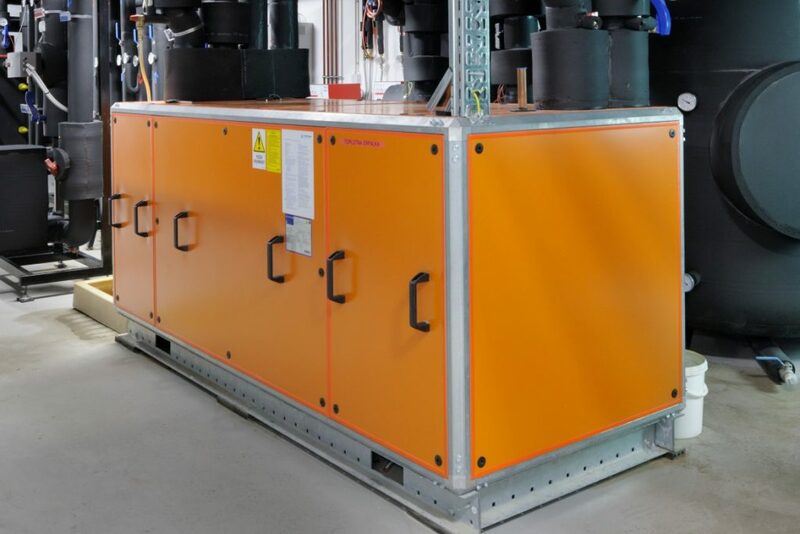 The objective of any energy system is to invest minimum amounts of electrical energy in order to generate maximum amounts of cooling energy – the quality of the system is thus reflected in a high coefficient of performance (COP). During summer, this ratio becomes very unfavourable for air-cooled aggregates. Therefore, the cooling energy is most expensive during the hottest days of summer, when outside temperatures are very high. 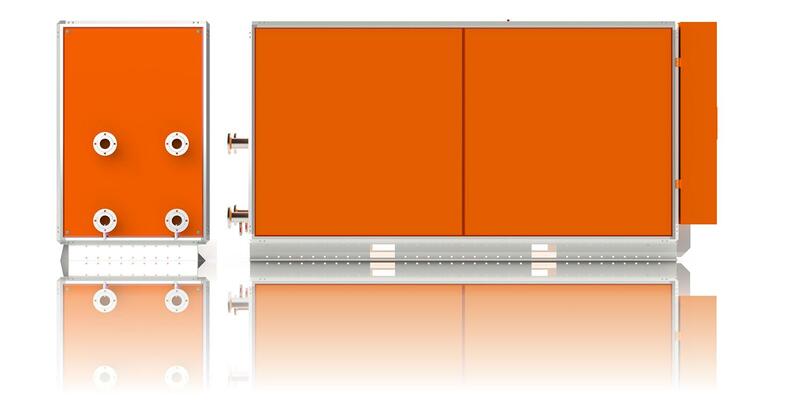 At Menerga we have developed two types of chillers, which prepare the cooling medium in two different ways. A Rewatemp device transfers the condensation heat of the mechanical cooling system (released during the production of cooling energy) back to the energy source (groundwater, geoprobe), while the Hybritemp device transfers the heat to the ambient air. Hybritemp device 97/98 – water-air chiller for cooling in the industrial workplace and during high temperature stresses. Stage IV. – cooling, where a recuperator and adiabatic evaporative cooling process are turned into a closed cooling tower, and the cooling water (medium) is prepared by an integrated mechanical cooling system. The condensation heat is discharged by the means of a recuperator and adiabatic evaporative cooling process. SUBMIT AN INQUIRY FOR A CHILLER! The installaton of cooling towers and air coolers frequently constitutes an architectural barrier. During installation we must also observe space requirements of chillers, free cooling systems and additional cooling towers, which increases operating costs and provides plenty of control room, due to the high concentration of these units. Menerga provides a solution even for this. 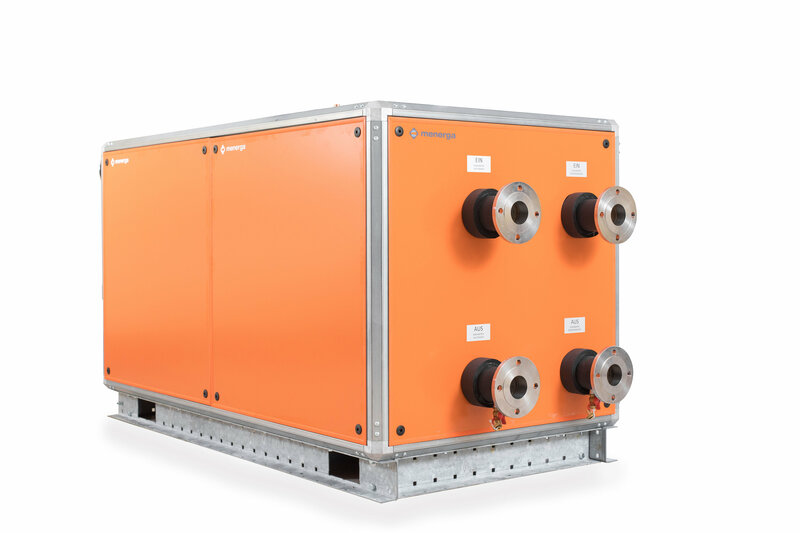 The latest compressor technology and optimally matched device components allow the omission of often noisy roof cooling elements. The latter represents a new architectural asset. Also, the amount of spatial gain and the cost-effective operation are not negligible. It is also very important that you have a person on whose advice you can rely before, after or during construction.